Silkie chicken (silky fowl)which is also known as black bone chicken(乌骨鸡 in Chinese) is a breed of chicken. Silkie chicken does not exactly mean that black feature but refer to the bone. Some silkie chicken also has white feathers.Silkie chicken is an ideal ingredient for healthy soup. According to the record, Chinese silkie chicken is originated from Jiangxi Province where this type of silkie has been raised over 2000 years. 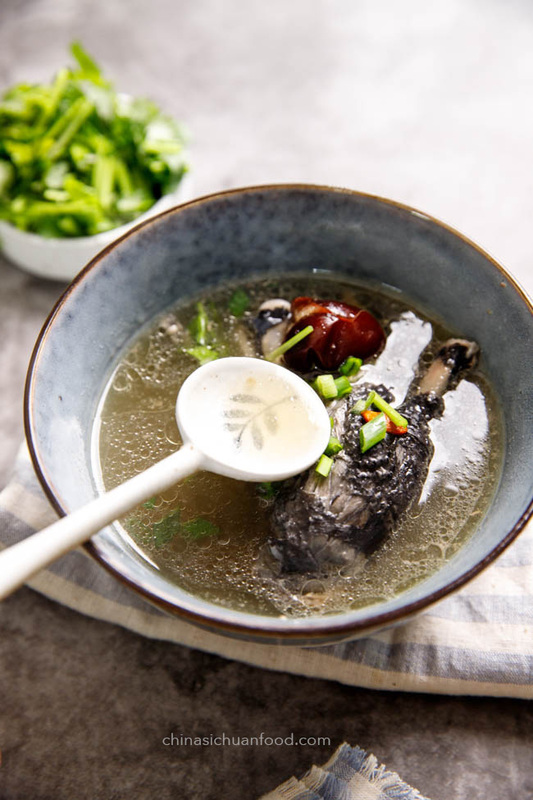 According to traditional Chinese pharmacology, silkie chicken is one of the main materials for treating gynecological disease.The best way of cooking silkie chicken is soup. The silkie chicken contains rich vitamin B, protein and amino acid. 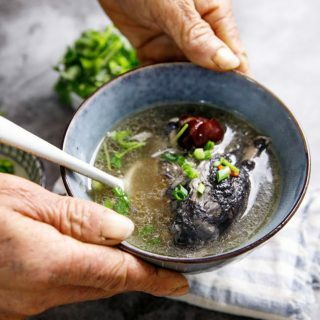 Usually, some traditional Chinese medical materials are added in silkie chicken soup for example red dates and wolfberries. There is an interesting joke here. 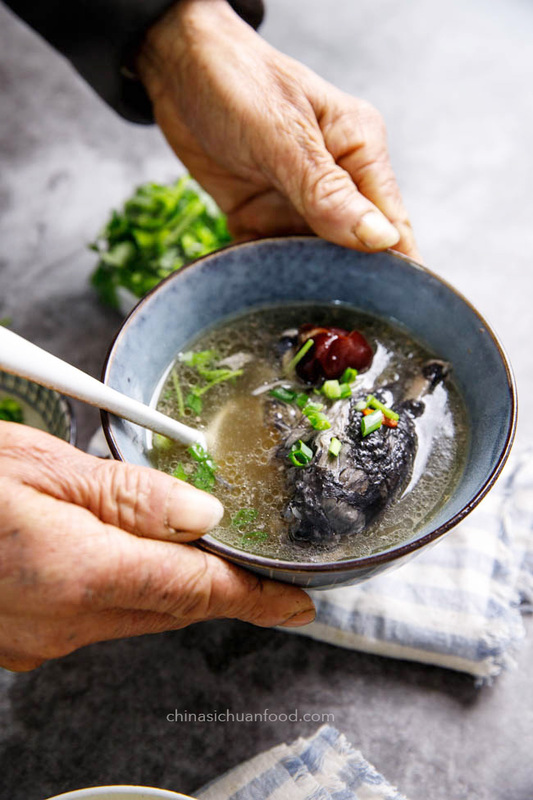 Since it is widely believed that silkie chicken soup is beneficial to female, my husband used to wonder that where he could have some too? And yes, it is also super good for man, children and old people too. you can add other ingredients, corn, mushrooms to this soup. In order to minimize the water evaporation, clay pot, cast iron pot and high pressure cooker are the ideal tools. 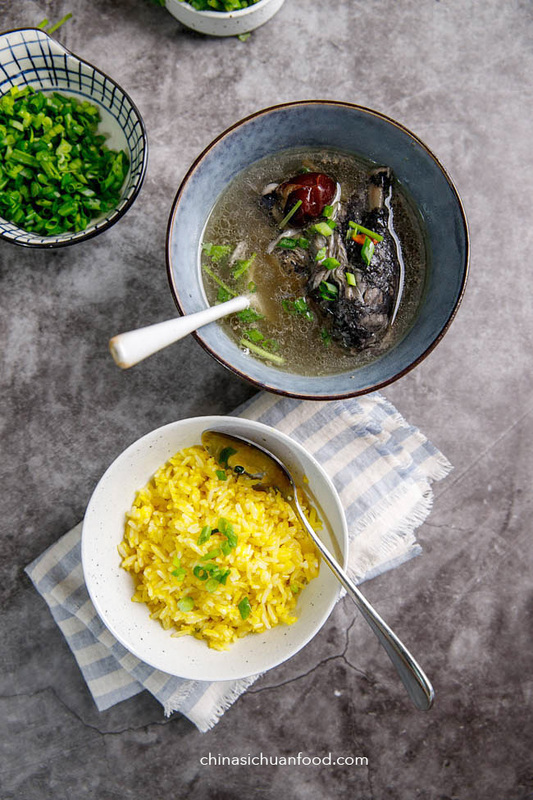 If you want to make this soup even richer, try Chinese herbal chicken soup. 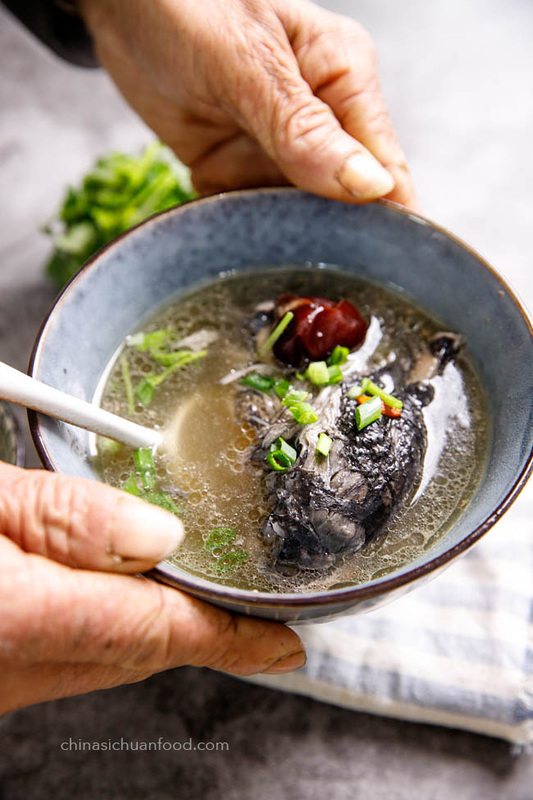 Healthy Chinese traditional Silkie chicken soup with red-dates, and dried small shitake mushrooms. Wash the silkie chicken carefully to remove the impurities. Add chicken in, place ginger, red dates and wolfberries. Load with 4 L water. Bring the content to a boiling. Remove any floats on the surface (skip this step if you are using a high pressure cooker). Slow durn the fire and simmer for 30 minutes. Add around 1.5 to 2.5 teaspoon of salt. Serve hot with chopped green onion and coriander as aromatics. You can also use a high pressure cooker to make this soup. I have served this soup with a basic egg fried rice. It is a very comforting meal.